So have you heard of hardscaping? We’re going to share some thoughts on mobile home hardscaping and how you can get started. Additionally, we’ll provide you with some design ideas to get the creative juices flowing. We hope this crash course guide helps you roll forward on this aesthetic journey. There are plenty of reasons behind a homeowner’s desire to hardscape. We’ll cover that too as we move along through this topic. In short, hardscaping is one of the two divisions of landscaping. The other is softscaping. But we’ll expand on these definitions in the next section. Now let’s break down the terms of the trade. There’s landscaping — the art of arranging the outdoor greenery in an aesthetically pleasing manner. Within the art of landscaping, you have softscaping and hardscaping. They’re the two main ingredients for pulling together a landscaping project. Hardscape involves the solid, hard elements in your landscaping — bricks, sidewalks, concrete, and stone. Fences, driveways, and sidewalks fall into the category of hardscaping. Softscape entails the soft, growing components of your yard. Think plants, trees, and grass. For a good landscaping project, you need to properly balance out the two categories. But softscaping is beyond the scope of this article. Let’s talk about hardscaping and how to get started. In landscaping designs, hardscape is what adds definition and order to the green space (softscape). There are a variety of hardscape projects you can tackle to bring some aesthetic order to your mobile home yard. The first thing you need to do is survey your yard. What are some of the glaring defects in the way your yard looks? Deal with that first. It may be something as simple as picking up debris, mowing the lawn, and filling up holes in the lawn. After that, consider what direction you’d like to go in. How do you envision your yard? What sort of look are you going for? Below we have some design ideas to help you find some direction. There’s something exciting about sprucing up your mobile home’s yard. Don’t get us wrong — it’s hard work. It will take time. You may even need to or want to contract out some or all of the work involved. And that’s OK.
First, let’s look at retaining walls. This could be a great idea for your mobile home hardscape design. Retaining walls can be used for adding a unique style to your landscaping. You can go for a modern look with your retaining walls by making them out of concrete. If you want a more rustic vibe, incorporate wood into the design. Retaining walls can help you provide some level footing in otherwise useless steep terrain or provide you with a place to add plants into some design space. For a romantic outdoor flair, see about installing a fire pit in your backyard. As you host friends or pamper yourself during the spring, summer and fall months, you’ll be glad to have a nice place to congregate around. 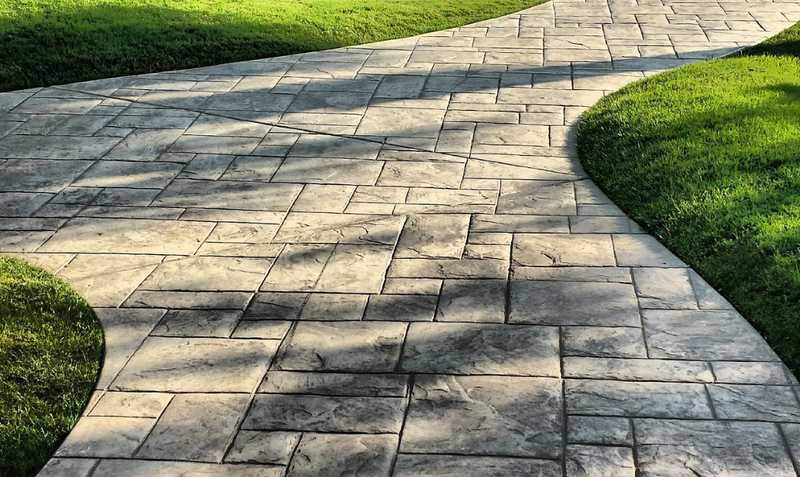 Whether it’s from the main road to your front door or from a man-made pond in the backyard to your patio, walkways can help add some definition to your yard. Do you like wood? Or is mulch and stone your preference? Tiled is always an option. As you plan your walkway, keep in mind a myriad of material options are at your disposal. A walkway can be as detailed or as straightforward as you like, keeping with the personal vibe that fits your style. Installing a fence not only adds a sense of security — but it also adds a bit of design flair to any front and/or backyard. From modern to rustic, the options for fencing are endless. Your fencing can provide privacy, a place to hang plants or simply a dash of style. You can repurpose materials for your fencing or pour vertical slabs of concrete —- the latter provides a modern vibe. If you have children or dogs, a fence helps keep them in and other people or critters out. In the realm of driveways, the most common types of driveway materials include concrete, asphalt, gravel, and pavers. Gravel can be washed away by rain and requires regular maintenance, but it may prove more affordable if your mobile home lays at the end of a long driveway. Asphalt is an economical option but requires more maintenance than concrete — it’s more susceptible to cracks if not put in properly. Concrete and pavers allow homeowners more creative room for design. Pavers include materials such as cobblestone, brick, and precast concrete. Here are some design ideas to help you get started in revamping your driveway. 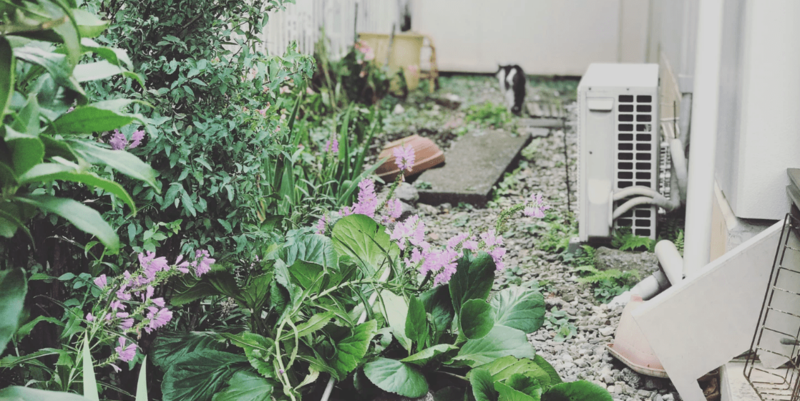 As you work at mobile home hardscaping, you’ll see your yard transform before your eyes. It’s a satisfying feeling to see all that hard work pay off. Maybe you like the idea of hardscaping and you’re a park owner, but you know you can’t get every homeowner to give their yard that sort of attention. There are other ways to transform every home in your park: host a community-wide clean up day!